Previous martial arts like karate, Kuk Sool Wan, etc. 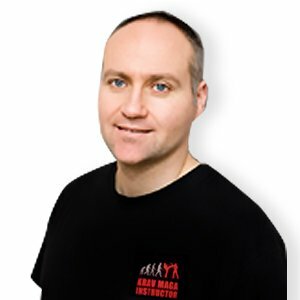 I became a certified instructor in 2007 and now teach Krav Maga full-time in Toronto, Canada. Teaching is a passion for me and I am fortunate to have met many interesting and inspiring people over the years. There is always more to learn and enjoy improving my technical and teaching skills. With the help of very high level instructors like Jean-Paul Jauffret, a promising group of aspiring instructors and great students, we are excited about the future of Krav Maga in Toronto!